Christmas was celebrated very simply at Sacha Dham ashram. On Christmas Eve presents were given out to the children. Master Prem Baba, one of Maharajji’s realized disciples from Brazil, held a singing and satsang session which was greatly enjoyed. On Christmas morning, presents were given to the adult ashramites. Disciples, mostly with Prem Baba, went to offer a flower and pranan (salutations) to Sacha Baba Kulanandji, Maharajji Sacha Baba and Anitaji. This was followed at lunchtime by a big Bhandara (feast meal prepared with blessings and prayers). Along with the ashramites, children form the ashram’s Sanskrit school and primary school were present. On New Year’s Eve, Prem Baba held a satsang session along with the chanting of mantras (including the very important mantra “Prabhu Aapa Jago”) to bring in the new year. The satsang hall was packed. On Sunday 23rd October 2011 in the morning, the great saint and Mahatma, our beloved Master Shri Hans Raj Maharajji Sacha Baba left his body at the age of 89. A few days earlier, he had been suffering from a slight infection and had been admitted to hospital in Dehradun. His leaving this plane has brought great emotion and sadness to the whole community of disciples and to all those who knew him, for everyone knows how much he was love and compassion, and that he only lived for the Common Good. Maharajji was simplicity, love and grace united in one being. 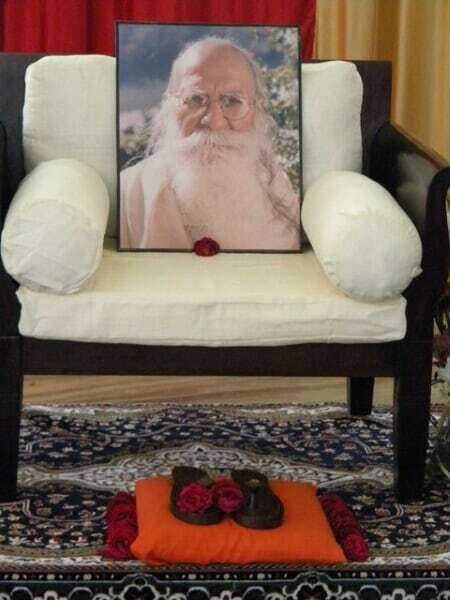 On that same morning of 23rd October, his body was brought back to his ashram, Sacha Dham, and exposed in the great hall, decorated with flowers. Everyone was thus able to come and pranam, renew their love and devotion to the divine Guru who has served us all well. 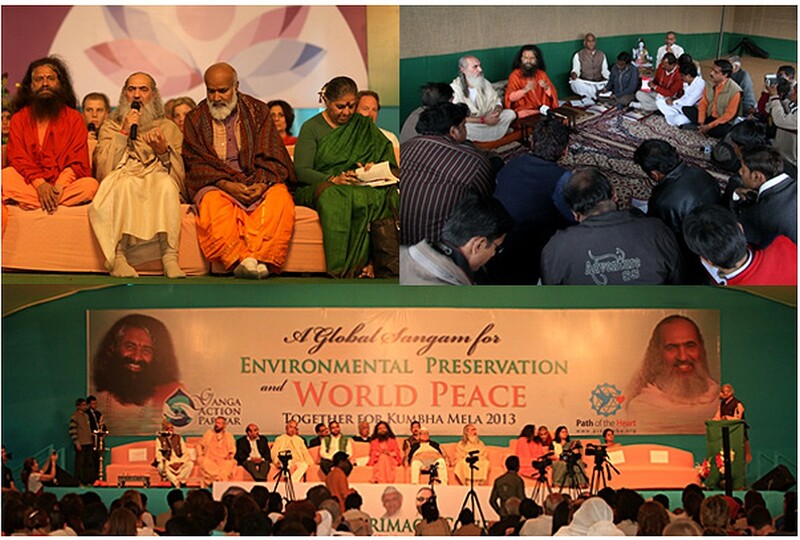 At the same time, the choir of disciples continually sang the powerful mantra Prabhu Aapa Jago. The last funeral and religious rites took place the following day, on Monday. A special ceremony is to take place on 7th November during which disciples and friends from all over India and abroad will pay a vibrant homage to the holy Master. After his enlightenment, which happened in exceptional conditions in October 1955, this great saint has thus spent fifty-six years serving God, his Master Sacha Baba Kulanandji and humanity. Maharajji Sacha Baba only lived for one goal — that humanity should turn to God through the path that each person would choose. He has always said that all religions lead to the same goal which is this same God, whatever the name each religion gives Him. So Maharajji Sacha Baba has never practised proselytism for any particular religion, for he often used to say, “Everyone has a heart, which is the seat of love; love is universal. And love is God, Who is universal.” For him, if a man listens to his heart, he will find God. But if he only listens to his mind, then he will take the wrong path. So the divine torchbearer of the Sacha lineage has left for the higher plains, but we are certainly sure that from these high plains, he will continue to work for the transformaton of humanity and his disciples. Each of us will be able to continue benefiting from his holy guidance and assistance as long as our hearts are in harmony with him. May our faith and devotion in him shine like the indelible link which joins us to his divine grace forever! Jay Maharajji Sacha Baba ! 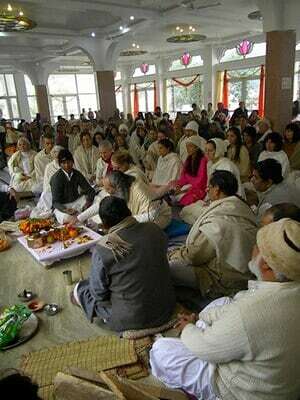 As usual, Gurupurnima was celebrated at Sacha Dham, in July 2011 at the ashram of Shri Sacha Baba Maharajji. Repeating the main message of the Sacha Lineage to humanity, Shri Sacha Baba gave advice to both his disciples and humanity in general. I have just one thing to say, it is necessary to bring God into your life. He is the only doer. Whatever effort you make, the Guru wants you to do it for Paramatman (cosmic Spirit, God). You must understand. You should follow your own path. He will show you the way. The time today is such that it is like a dark, moonless night. Now Parivartan (the spiritual rise in consciousness) is taking place. Remember, in the Sacha lineage after me, there will be two more Avatars in the future [Maharajji has not said exactly when in the future these Avatars will come. Is it just after him or later on, we do not know]. Then the Parivartan will be entirely fulfilled. How much of the world will remain, how many of the people will be wiped out from this world? All those who remain will be those who are devoted to Paramatman. What I am saying applies not just to India, but to the entire world. This Kali Yuga is very simple, if only you chant “RAM RAM”, the Name of God, you will be able to go through it easily. All sins of past, present and future lifetimes will be wiped away. But we don’t give priority to Paramatman. Whoever comes to me tells me, “I have this problem, that problem etc”. Hardly anybody uptil today has come to ask for Paramatman. Whatever they ask for, I always pray for it; but the samsara [the almost endless cycle of rebirth and death till man attains liberation] keeps on expanding. No one has managed to control this world and no one will, because whatever one’s actions are, that very fruit he will reap. If there are four brothers in a house, then the karma of each will be different. Even if all four live together lovingly and eat together, still the karma of all four is different. But if all four chant the Name of Paramatman even for an hour [a day], then their sins will be wiped away and they’ll attain moksha [liberation], reaping in that way the fruit of that spiritual practice. But people want only samsara, and they go deeper into it, thus accumulating “dust” for many lifetimes. We should at least think about where we are going and for what we are going. After a short time people go off the path, because they have no wisdom. Later Satya Yuga (the era of wisdom) will come. The world will keep on its flow. However today if by misfortune someone does not chant The Name of God, then he also will have to leave this world [because he will not be in harmony with the Divine Energies which are coming down on earth in this Parivartan cycle]. Human life is itself a chance. And there is no second chance. Follow your religion seriously. The major religions, for example, all have different paths, but all lead to God. And all those who practise these religions sincerely attain union with God, whatever their social class. In India there are many Gurus, you can easily choose one. If you don´t find Paramatman with one, you can find Him with someone else. And whether you find a Guru or not, follow the one in whom you have faith. You should give up everything for 1-2 hours daily and chant the Name of Paramatman. If it becomes a habit then you will start doing it lovingly later on. You will grow love in your Heart for Paramatman. You should wake up early in the morning and chant the Name of Paramatman for 1-2 hours. And the rest of the time you can eat, sleep and work hard. The circle of maya (illusion) is weak in the beginning but later it grows hard like iron [if you don’t have a steady spiritual practice]. It won´t break. If you tell an old man to say “RAM RAM”, he’ll say “go and tell someone else” [if he has been used to living without steady spiritual practice]. Time is passing, the sun will rise and set, it will do its work. The higher powers will continue doing their work whether we reach the goal or not. Therefore I won’t say much, I just say that you should devote some time to Paramatman , Whoever your Paramatman is, with form or without. Some people have faith in Allah. If they have faith by heart, when they rise up spiritually, there is then no distinction. Paramatman of all religions and people is One only. All people have similar organs. God has given to everyone intellect and strength. Although I speak and speak [year after year], people still don’t understand. Therefore they get all kind of sorrows. So devote 1-2 hours daily [to avoid these trials and sorrows in your life]. In the morning after having a bath, or without a bath, sit and chant God’s Name. Usually people have a bath and then go to their shop. They [only] keep the shop in their mind. Since Kacha Baba at the beginning of the 1900s, the Sacha Masters have been urging humanity to prepare for the era coming in so that man will go through the transition period in the best conditions. They have always insisted on the fact that it is necessary to harmonize with the present energies, and “swim with the current”, otherwise this will create “friction” in both the physical and the spiritual world, and so give rise to problems and even disasters of all sorts everywhere in the world. Unfortunately, this harmonization process is way behind and humanity’s heart has not changed enough. All over the world we are witnessing both human-made and natural disasters of all sorts as well as several wars where thousand of lives are lost. That is why Maharajji recommends using the OM NAMA SHIVA mantra which is most effective to create change in oneself. The Sacha lineage – along with their disciples all over the world pray for the smooth transition of Man into the new cycle. The mantras the most used for this are the Prabhu Aapa Jago (1), created by Sacha Baba Kulanandaji for this very purpose, and the Gayatri, a very powerful, ancient mantra. But more help is needed to put the world back in the right direction. Men and women all over the world are needed to pray for the Earth, so that the necessary opening of hearts is speeded up, bringing about a rise in the consciousness of the human race. Mere Sarava Jago, Saravatra Jago. Dukhaantaka Khela Kaa Anta Karo. Wake up my whole being, wake up all beings everywhere. End this era of pain and suffering. Bring in the era of joy and bliss. Sunday 25th July 2010 was a special day in India, for it was Guru Day, Masters’ day. And in India the Guru is such a central person in the thoughts and life of a Hindu that each family has a Guru. At this special event there was a puja (prayer) in the ashram temple and the whole atmosphere was permeated with divinity. Love and devotion reinforce the mutual links between Maharajji and his children. The Master shed his holy blessings on all his disciples — both those present and absent. At the end of this special puja, Maharajji spoke to his disciples about the perils which humanity has to face in this Parivartan cycle (cycle of transformation in hearts and consciousness) which has begun. He insisted on the fact that spiritual change for the new era must come from each individual. ‘There is a saying from Maharajji [Sacha Baba Kulanandji, his Master] : “Change within yourselves.” Whatever work we do, one may listen or not, an inside voice tells us whether this work is good or not.’ He recommended that his disciples chant the name of God two hours every day, one hour in the morning and one in the evening. Lunch was a bandhara or brotherly meal of which all partook in a joyous atmosphere. Om Shri Sache Maha Prabhu Ki – Jay Ho ! To behold with the eyes of the heart; to listen with the ears of the heart to the roar of the world; to peer into the future with the comprehension of the heart; to remember the cumulations of the past through the heart; thus must one impetuously advance upon the path of ascent. Creativeness encompasses the fiery potentiality, and is impregnated with the sacred fire of the heart. Therefore, upon the path to the Hierarchy [of Masters], upon the path of Great Service, upon the path of Communion, synthesis is the one luminous path of the heart. 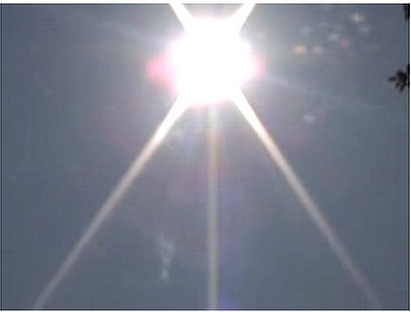 How can the manifested rays be radiated if the flame is not affirmed in the heart? It is precisely the quality of the magnet that is inherent in the heart. The highest creativeness is imbued with this great law. Hence, each consummation, each union, each great cosmic unification is achieved through the flame of the heart. By what means can the foundation of the great steps be laid? Verily, only through the heart. Thus the arcs of consciousness are fused by the flame of the heart. Thus, we shall keep in memory the beauteous attraction of the magnet of the heart, which links all manifestations. Verily, the silver thread that links the Teacher with the disciple is the great magnet of the heart. The union between Teacher and disciple affirms the essence of all evolutions. The heart is the focal point, but of all it is least egocentric. No egoism dwells in the heart, but pan-humanity. Only reason enshrouds the heart with a cobweb of egocentricity. Mercy is measured not so much by so-called good actions, the cause of which can be too varied, but by the inmost kindliness; it kindles the light which shines in the darkness. Thus, the heart is verily an international organ. If we accept light as the symbol of the aura, then its parent will be the heart. How necessary it is to learn to feel one’s heart not as one’s own, but as the universal one. Only through this sensation can one liberate oneself from egoism, safeguarding the individuality of accumulations. It is difficult to contain individuality with universal containment, but not vainly is the magnet of the heart connected with the Chalice. One can understand how the heart radiates a special light, which is refracted in every way by the nerve substance. For the crystal of psychic energy can be variedly tinted. Taken from Heart, 1932 vs. 1 & 7. 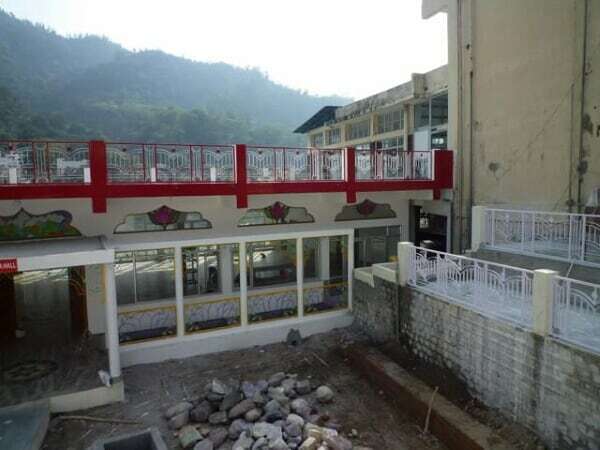 Shri Sacha Baba Maharajji (Shri Hans Raj Maharajji) is a realized Master whose ashram is to be found in the tiny village of Laxman Jhula, Rishikesh in India. He is a great saint of the Sacha lineage dedicated to helping humanity in the great spiritual transformation of consciousness (Parivartan in Sanskrit) which is now taking place. This rise in the spiritual consciousness of man is a necessary prerequisite to entering the coming era, one of more sharing and brotherhood which the new energies coming down on the Earth since the middle of the 19th century are now bringing in. Whether we know about it or not, whether we believe it or not, this new era is at our doorsteps and one must harmonize with the new energies in order to be able to live in this coming period of time. Since his enlightenment in 1955, Maharajji Sacha Baba has dedicated his life to this goal. From the beginning of time, the Earth as well as the universe have been created, maintained and transformed through certain energies which condition them. Humanity, being a part of this whole, is also governed by these energies, and its development — physical, mental and spiritual goes through different stages as different energies make their influence felt according to the cycle of time which is unfolding. These cycles of time follow one another as the seasons of the year do, and so they determine the path of development which man, as well as the whole planet takes. After the development of the physical body, the emotions and then that of the mind which is the seat of the outer personality, it is now time for the development of spiritual consciousness, where the soul — seat of the higher Self — will be able to clearly express itself through the heart, which represents it. (This topic has already been explained in some detail in a preceding article, Help Along the Way in Humanity as a Collective Disciple.) During the present Kali Yuga, there will be a period of time where man will become more spiritual and turn to God. The energies which will bring about this spiritual change started coming down on Earth from the middle of the 19th century. However, before the new era comes fully into being, there is presently a period of transition which could be dangerous for man, if he does not adapt quickly enough to these new energies. This is because they push him in the direction of more spirituality, living through one’s heart, and being less egotistic, while many prefer to continue a selfish, materialistic way of life. Those who do not harmonize with these energies will be swept away by the resistance offered to them just like a person trying to swim against an extremely strong current of water, since they are very powerful, and have shaped everything which exists and consequently cannot be fought against. These people could behave so negatively that they could create problems for others in their sphere of influence. A good example of this is the two World Wars in the 20th century. Other examples are more difficult to understand but are just as true: the thoughts of man influence nature, and so volcanic eruptions and earthquakes, for example, which are natural happenings, are however more and more frequent and destructive because of the negative destructive energy created. If our thoughts could become more harmonious, then there would be less negative energy to disrupt Nature. No energy is lost, not even the energy of our thoughts, so it would be better if they brought healing to the planet rather than destruction. This great saint has spent the major part of his life working for the spiritual transformation of humanity’s consciousness. During those years he has continuously spoken about certain aspects of this shift of consciousness and has always made suggestions as to how to bring this about, in particular that everyone should practise some form of spirituality every day. For many long years, he and the other leaders of the Sacha lineage before him have constantly prayed to attenuate the effects of the energies so as to give humanity more time to adapt to them. During that time, they have prayed non-stop for man to become more spiritual. However, Maharajji now says that these changes can no longer wait, and their powerful work has already started. “These last thirty years, I have constantly been advising you to pray to God for at least an hour a day. My mission has nothing to do with any religion at all. It mainly consists in turning humanity to God, for that is the ultimate aim in life. Mahamaya (1) can no longer wait to start the transformation of the world. In this process, only fifty-two per cent of the population will survive. 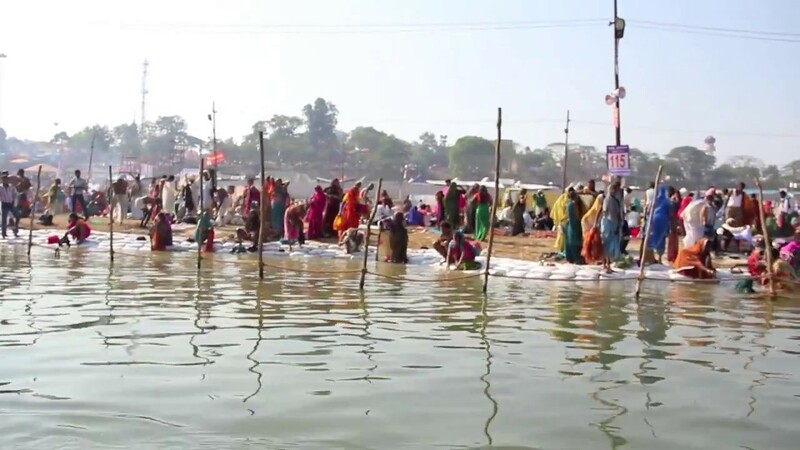 This process has already started and we are now witnessing disasters all over the world, whether in the form of devastating floods like in Gujarat or elsewhere, tsunamis, or senseless violence, everywhere in the world. Mahamaya will force people to turn to God by creating various problems through illnesses, personal tragedies, aeroplane crashes, natural disasters and similar things. We have asked Mahamaya to spare humanity from destruction from the atom bomb. August and September will be hard times. At the beginning of the 1900s, there lived a very old, great saint in India, Shri Kacha Baba, who was considered by many as the incarnation of Lord Vishnu and the avatar Rama. 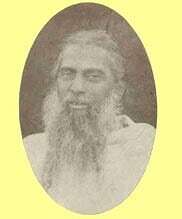 After devoting his life to helping on both the spiritual and material planes in order to prepare humanity for the new era coming in, he transmitted his spiritual powers in 1914, we are told, to Shri Sacha Baba Girnari who desired to pursue this task. Like Kacha Baba, Sacha Baba Girnari’s origin and age were unknown. He had appeared several times as a Master since Lord Krishna had left our world after the battle of Kurukshetra, and it is said that he was more than four hundred years old. He one day revealed to his personal secretary Diwakar Singh that he was Narada himself. It is said that Sacha Baba Girnari was the incarnation of both the Great Lord of Love and Wisdom — Vishnu and also that of the divine Rishi of Knowledge, Beauty and Teaching — Narada. This avatar devoted all his time and energy to helping to transform the spiritual consciousness of man all over the world. In India, he did not fail to address the lineage’s message of spiritual transformation to political leaders who were in a position to better the material conditions of their citizens so that they would then be able to turn their consciousness to God. On leaving this world in 1944, Girnari Baba expanded himself into Swami Kulanandaji, his most prominent disciple, thus transmitting him his powers. This disciple then became Sacha Baba, since he incarnated the powers of his Master. 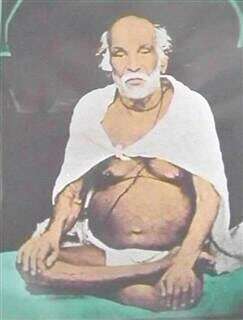 Sacha Baba Kulanandaji was therefore thought to be both the incarnation of Lord Vishnu and Rishi Narada. This avatar carried out such great work that he brought humanity closer to God, and left important tools that man can use to become a realized being. One of Sacha Baba’s main disciple, Swami Hans Raji became enlightened in 1955. Later on, during a deep spiritual experience, he was told by the Divine Mother that he was Narada and Vishnu. On leaving this world in 1983, the Master transmitted him his powers, and Swamiji Hans Raj then became Sacha Baba in turn — Sacha Baba Maharajji (better known as Shri Hans Raj Maharajji). According to ShantiMayi, one of Sacha Baba Maharajji’s prominent disciples, Sacha Baba Kulanandaji used to say, “All are my hands and all are my feet. All are my ears and eyes, but Hans Raj, you are my heart.” Since then this avatar has been continuing the lineage’s work in leading the march towards the rise in man’s consciousness so that the transition into the new era will be as smooth as possible. He has several advanced disciples in India and the Western world. Among them, two Western disciples —realized Masters ShantiMayi and Prem Baba travel the world with the message of spiritual advancement for humanity. 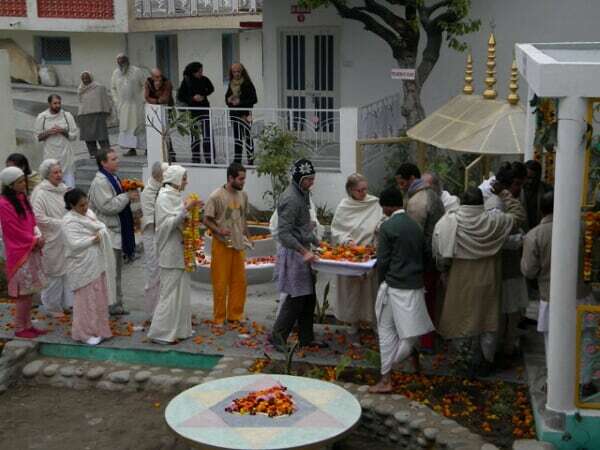 During the winter months, they give satsangs at Maharajji’s ashram — Sacha Dham in Laxman Jhula. 1 Literally “The Great Illusion.” One of the manifestations of the Divine Mother as the separating veil between man and God. According to another meaning, it is the fact that man is subjected to a great illusion in this world as long as he has not attained enlightenment, from the spiritual point of view. He only sees the outer appearance of things and is not able to reach the Truth. Christmas Day is a day when the blessings of the Christ are poured down on the Earth in response to the call of humanity for peace and goodwill to all men at that particular time. Masters who work for the welfare of humanity receive this energy and redistribute it everywhere in the world. However, only those who open their hearts and harmonize with Christ or with those Masters are able to reap significant benefit from it. Here at Sacha Dham as usual, Christmas was celebrated, and this time two other Masters gave messages along with Maharajji Sacha Baba, the Master of the ashram. They are two of his disciples from the West who participe in the worldwide spiritual transformation with him, ShantiMayi and Prem Baba. At about 11.30, Maharajji went to the hall to deliver his Christmas message. He was accompanied by ShantiMayi and Prem Baba. The disciples were both attentive and meditative, knowing that it was not just words which were going to be delivered, but also blessings. Maharajji reminded us that Jesus Christ had come for all mankind and insisted on the importance and universality of his message: that we should love one another. Even while he was being crucified, he told his disciples to love those doing him wrong just as much as they loved him. Maharajji repeated that we must love one another regardless of our different origins, and live as one family, also loving those who do us wrong. He concluded by saying that love is God and that this is the easiest way to attain realization. Prem Baba then gave his message. He stressed the fact that although Jesus Christ was well-known for his great miracles, few people were able to see that the greatest miracle was the fact that he had accepted to die on the cross and still kept his compassion for others intact. Even while he was being crucified, he did not deviate from this love, and was even able to pray for his assassins, “Father forgive them for they know not what they do.” He thus showed us the way, the way to love. ShantiMayi pointed out that like his life, Jesus Christ’s birth also had a very strong signification. At this event, there was a guiding star which guided everyone to Him. That had something to do with us as Earth people, as a living family of the Earth, being of the Cosmos, that we open our hearts rather than just being Earth-bound; that we open our minds to the whole of the universe. This ideal has to do with the guiding star which came that day; we remember that He was born on this day which was a new beginning for the great power. And this great power should not be feared for it is the power of love which is in every single human being. On Christmas day all the foreigners were in the temple and most of them were disciples of ShantiMayi. Maharajji was present and his hands radiated a sort of energy in the form of white tear drops which entered all the participants alike. Once again Christmas at Sacha Dham was a moment which transported us into the realm of the soul. God has never abandoned man, however things may appear. He has periodically sent avatars from the beginning of time up to the present epoch in different countries to inspire and guide humanity. Wise men or Sages, called Masters, have never completely left the Earth, and their role is to carry out God’s plan on Earth and help humanity to do their part. They inspire humanity so that man will not be interested only in what the outer aspect of his being can bring him, but also the benefits of the higher Self and the spiritual world. They also do more than inspire. Certain avatars have, for example, have carried out special work on the inner planes so that humanity will more easily be able to have access to their higher Self, through their heart, and therefore to the higher spiritual planes also. Indeed, this had not always been the case before an opening was made in the veil of ignorance between the higher Self and and the lower or outer one. 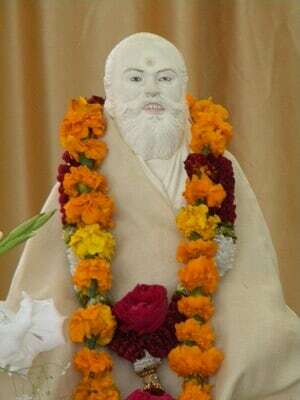 A modern example of this type of very high spiritual work is to be found in the work of Masters of the Sacha lineage, in particular that of Sacha Baba Kulanandaji (1910 – 1983). This great avatar has brought humanity closer to God. 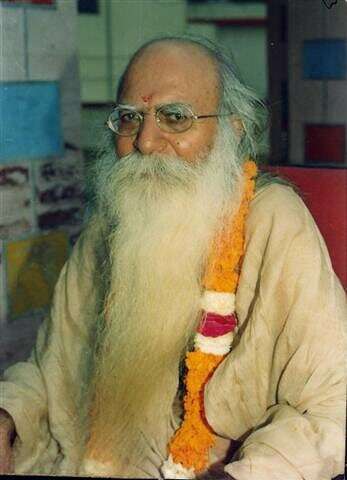 He has given man a particular mantra, Prabhu Aap Jago, which is chanted continually so as to raise the spiritual level of humanity and at the same time ensure that the basic necessities of life will be met for whoever connects with him or Masters of the Sacha lineage while seriously following spiritual practice of their own choice. They do a lot to help individuals and countries whenever they can. For example, Shri Hans Raj Maharajji Sacha Baba has continuously prayed so as to avoid a third world war, and has so far succeeded. Many may remember that not so long ago, it was common for many people to die of starvation in India. However, through the work of Sacha Baba Kulanandaji and Maharajji Sacha Baba, India has now become self-sufficient in food and even exports cereals. There are still poor people in India, but that is because the wealth of the country is not well distributed. Through his prayers, Maharajji has also been able to prevent nuclear disasters and major conflicts between the bigger nations. It must be said that their role is not to prevent man from learning through the use of free will. Thus they give advice so that we will live harmoniously, but such advice is rarely followed, and so we learn through trial and error, which is the origin of suffering on the Earth. Humanity evolves by learning to make wise choices and so acquire wisdom. Making mistakes is also a part of the learning process, therefore it should not be seen as cruelty to leave man to learn the lessons of life through personal experience. He has the ability to connect with God, and unfortunately he does so mostly when he has lost all hope of finding any solution to very serious problems. What would be wise, is to follow spiritual laws, and connect with God continually, thus avoiding much of the suffering we experience. If we take the example of a child, we see that it often falls and even hurts itself before being able to walk, and eventually run. We know it would not be wise or even healthy to prevent the child from walking simply because we do not want it to hurt itself. This is a part of growing up, and everybody goes through that stage. But the difference between the experience of small children in that situation and adult spiritual life is that since man is linked inwardly to the spiritual world in general and to his Heavenly Father, he can connect with Him to get advice so as to avoid many mistakes and dangers. Even our inner Self has enough wisdom to help us avoid a great part of the suffering we undergo. However, not being used to living through their hearts, most people have the impression that unlike the concrete physical situation around them, there is nothing in the spiritual world with with they can interact, and so they do not even try. But they are wrong. The more one connects with the spiritual world, the more our hearts open and eventually we learn to discern the answer given to our prayers. We must admit that after spending many years and even lifetimes listening only to the outer self, with its never-ending stream of often noisy thoughts from the mind, our bodies and especially our minds are no longer apt to tune in to the whispers of the soul expressing itself through the heart. It is not reasonable to expect to find a nice, clear asphalted road to drive on if for many years that road has been neglected. One might logically find bushes, trees and even rocks on it. Indeed, one may not even find any road at all, depending on how long it has been ignored and left to become bushland. Why then would it be different with the path to the heart? This path becomes blocked because of the predominance of the gross vibrations of the outer self with the thinking mind, ever ready to impose its thoughts. The heart becomes cluttered up with the idols of the day, and very little opportunity is given to the voice of the soul to express itself. Such a heart cannot transmit the inner voice which brings advice, answers or solutions to certain situations. In such a situation, one may not even desire to change, for one finds this situation perfectly normal. Yet, in the spiritual domain, when we refuse to live according to spiritual laws, to listen to the voice of the heart and generally accept the fact that we are spirits living in a body which we use as a vehicle, we also act like Peter Pan who did not want to grow up. Humanity has reached the stage in its development where its heart needs to be opened so that man can go on to the next stage which is to live more fully as a spiritual being, instead of tarrying in the superficial pleasures and satisfaction of the mind and emotions of the outer self. The desire for these things is perfectly normal, for in growing up this is part of the natural process. But to remain forever in this state is not normal, for just as children become adults, humanity must continue the process of development which started with the physical, followed by the emotional aspect, then continued with the mental; it is now time to develop the spiritual aspect of man much more fully. This can explain why so many people are interested in spirituality today, not necessarily in a religious way, but with a view to living a harmonious life. Indeed, most people no longer have blind faith, since they are learning to think for themselves, and they want to understand the spiritual path they take. But with the new energies coming down on the earth now, it is not enough to be vaguely interested in spirituality, for that will not allow anybody to harmonize with them. Everything is vibration, and one must follow serious spiritual practice in order to raise one’s vibrations to those of the incoming energies. Why is Diwali celebrated in India? In Indian culture, there is a spiritual cause for all festivals. One must therefore go beyond the outer aspects to see the true message. The Diwali Festival commemorates the crowning of Ram in Ayodhya after having been banished for fourteen years. When Rama entered Ayodhya, people spontaneously showed how happy they were. During his reign, there was prosperity, happiness, truth and good health for all. These changes were possible because Rama had sacrificed himself for many long years, far from his family, fighting demons in the jungle. This shows that to succeed, one must make sacrifices. You must therefore make sacrifices if you want to realize God. Through devotion, you enter into communion with the transcendental state of the Master and you can also become spiritually developed to the point where you are as well-known and celebrated as your own Master. That is how Hanuman, because of his great devotion to his Master Rama, is today as celebrated or even more so than Rama is. If his devotion is great, the disciple becomes perfect and through the grace of his Master, he can do things as great as him, or ever greater. Today, one sees few true sadhus (people who have renounced the world and seek God). They die their clothes, but are not real sadhus. The true sadhu is one who has surrendered to God and who, through his grace finds the solution to all his problems, and who is not materialistic. It’s been five years now since I no longer leave the ashram. Sacha Baba told me that I would have all I needed and that it was no longer necessary to look for anything whatsoever outside. And because I have always surrendered to my Guru, this is what has happened. God can give you everything, but you must first surrender to him. You must be devoted to and have complete confidence in the Master. No aspect of your life can or must be hidden from God. The Guru sees everything in the life of the disciple and he takes care of him in every little thing as with the more important things. All aspects of his life, the most important as well as day to day situations must be carried out with his inspiration. He must not be left out of any of them. Ever since I’ve been with my Master, I’ve never disobeyed, nor done anything against his will. One day, I had to leave Varanasi and go to Calcutta. Normally there were three trains I could take, and as usual I had decided to take the first one because usually there was more space. But that time, my Master told me to take the second one. So, confidently, I waited for the second train. When it arrived at the station, it was indeed packed, and there was no space. But as it stopped, a door opened just in front of me. Only one person got down from that door, and I was able to get on the carriage and take his place. Spirituality must be manifested by all, for God’s creation must become perfect. That is what saints work for, when they watch over humanity’s evolution, thus serving God. This evolution comes about in two ways : either easily and harmoniously when men cooperate with this transformation, or else difficulties will bring about this change. This is so not only for individuals, but also for nations. Disciples in particular and humanity in general must cooperate with God and the saints for their evolution. That morning at 6 o’clock I saw a light. I saw the sun in which Sacha Baba was sitting. My body became hot. Then I saw all Mahapurush (Great Beings) : Rama, Shankar, Durga, all of Them. One has to pay for things done in past lives. Saints all live for others. Saints do not belong to any religion. Saints follow the law of karma. Rama killed Bali from behind a tree. For that karma he had to pay. This karm phal [fruit of action] is very subtle. “The Lord who resides in all, that One may I be given.” So prayed Sita, and she got married to Rama. On us is the veil of maya, [illusion] which we cannot take off on by ourselves. 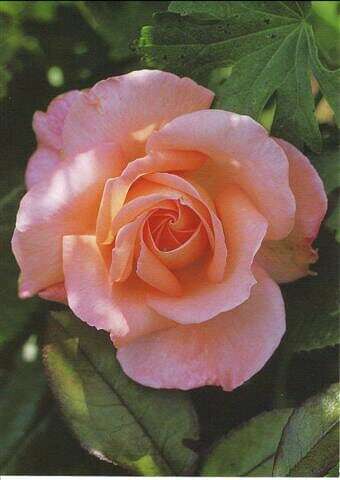 It is taken off with the help of Guru kripa [grace of the Guru] only. In my childhood, I used to visit a temple where the pujari [priest] used to say that you can ask for anything from the vanshi walla [the One with the flute, Lord Krishna] and you will get it. And if you ask to have Him, Himself, then you will get everything. Our country used to import cereals. [Baba had asked me to collect food grains throughout the country for his ashram and if I succeeded, he would make a sankalpa so that India would be self-sufficient. This program was successfully achieved.] So all food needs were taken care of and Baba said that from then on there would be no shortage of food in India. That is why we are now self-sufficient in this country. The Parivartan is progressively taking place. Every year hundreds of thousands of people now die, and this is going to increase. Bhajans [devotional songs praising the Lord] will have to be done. Break the knots of your ego. You have to do it yourself, for the Guru only helps. If the Parivartan takes place in a hard way, then 65% of the world population will die, and if it takes place with mercy, then 35% will go. We all have love for God. Baba has said to give people good food, and at the same time give them God. But one must also do his work. Today everyone is smart, they want everything. But everyone has to leave this world one day, and what will be left behind is his name. [whatever we get during our life, we will have to leave it when time comes to depart from this world. That is why I do not hoard anything.] You will be rewarded according to your deeds. Now come to your senses. God will make you free of your karma. He is not at all outside you. He is inside. Inside you there is hell, heaven and devaloka. Everything is inside. It does not make any difference if you are a Hindu or a Muslim. In winter, thousands of foreigners come in search of God. Do bajans for an hour or two and so nothing will happen to you. Today, there are so many people suffering from cancer. I will not pray for anyone now; the time for that is over. If you do not do bajans, you will die suffering. This is an exceptional book which sheds light on how a particular lineage of realized Masters, the Sacha lineage of India, works in our modern world. It explains their goal of helping the entire world to acquire a new state of spiritual consciousness in order to meet the new standards set by the new energies coming down on the Earth and which push humanity into a new cycle of spiritual development. Indeed, we learn that humanity as one body goes through different stages of spiritual development and has now reached the point where it must enter a higher state of consciousness where there will be more brotherhood and sharing. This shift in consciousness, which is a necessary prerequisite, is called Parivartan in Hindi. A large part of the book is devoted to the present torch-bearer of the lineage, Shri Hans Raj Maharajji, who now leads this mission. This book should be read by all those who want to learn how a great spiritual Master helps his disciples up their spiritual path, and at the same time leads the spiritual transformation (Parivartan) of the world. The book is divided into five sections. Section 1. 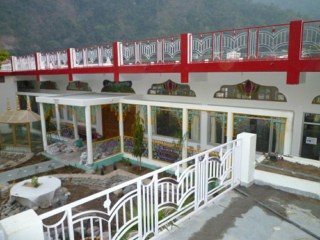 Here, at Sacha Dham ashram near Rishikesh, we meet Maharajji through the eyes of his disciples who recount experiences with him. We see how the Master intervenes in their lives and brings them help – whether this help be practical or spiritual. These very interesting leelas (cases of divine or miraculous intervention) range from healing, solutions found to general problems, to spiritual help or teaching and profound changes in consciousness. This section brings hope and encouragement in that we see that the Master guides all those who, with faith and love, connect with him, even from very far away, thus receiving his love, peace and spiritual upliftment. This is done through heart to heart contact. Section 2. Still through the eyes of his disciples, we learn how they met him. The stories told are just as engrossing as the first set of stories. Some disliked spiritual men, others had no wish at all to have a Master, one European had no wish to go to India, an Indian woman recognized Maharajji as her Master at her marriage; all these people and so many more, for different reasons, eventually found themselves at the Master’s feet. These stories also show the helping hand of the Master in their lives. Indeed, Maharajji directs them to their own hearts, and in so doing, to God, the one and only God to Whom all human beings are linked. The back cover of the book cites the following, which helps us to understand Maharajji’s spiritual link with his disciples. “One day, when I was forty-one years old I went to bed at home as usual. I laid down, relaxed with my eyes closed and suddenly a picture appeared in my third eye. I had never seen anything like this before. A very peaceful man with very strong, pure love appeared. He smiled in a heartfelt way and looked directly into my eyes. He was sitting on a chair, dressed in white and had a long beard. I could see his upper body. After that, I woke up. I was very touched and wondered who this man was and what it meant,” says Monika from Switzerland. Section 3. Here we meet the first known Masters of the lineage for the contemporary period –Kacha Baba, Sacha Baba Girnari and Sacha Baba Kulanandji, Maharajji’s Master. We see the contribution of these first three Masters from the beginning of the 20th century up to 1983. They laid down the modern foundations of the task to raise the spiritual consciousness of humanity. They also guided disciples while carrying out their worldwide work. In this section also there are several anecdotes which help us to get to know them and their work. Section 5. Here we get to know ShantiMayi who travels the world in Maharajji’s name to bring light to thirsting hearts. We learn about her meeting Maharajji, the circumstances of her enlightenment, the work she has undertaken since then and how some of her disciples came to her. This book was written to give the general public a glimpse of how certain realized Masters help man to meet the spiritual challenges that face humanity, both individually and collectively at this crucial time. The authors find it important for us to know about them, and cooperate in order to benefit from the present formative energies and not undergo them. Through the life and work of the past and present Masters of the lineage, we are given an idea of what a true realized Master is, especially avatars, and also what the spiritual path is like for disciples. One may be surprised that the book starts off with stories by the disciples, instead of immediately getting into the heart of the topic – “the dawn of a new consciousness”. This is probably because the authors realize that many people may not be interested in the lives of saints unless they are first convinced that these saints are true saints and have something to offer humanity. The authors have been at great pains to make their ideas clear, and at the end of the book we even find an extensive Glossary to help us understand Hindu concepts and vocabulary used. They have well succeeded in their endeavour through engrossing anecdotes recounted by disciples themselves, quotations from certain Masters and well explained examples. The Masters in the biographical sketches hold our full attention and inspire our respect and affection. The book is clear, well explained, easy to read and so captivating. I highly recommend it to all. The book costs € 18, except if otherwise stated. Contrary to what one may think, humanity on the whole is evolving slowly but surely, and has a goal to meet. We are not just drifting here and there as the wind blows, but are following a well defined plan that leads to the goal humanity pursues. This goal is the perfection of man, and his merging with his Creator, God. Humanity is one body, and we all go up this path together. However, many walk blindly, not knowing that there is a purpose to life. Indeed, man needs to more deeply explore the spiritual side of things; after all, we do realize that we are not just flesh and bones and a thinking mind, but also a spiritual being. What then is the consequence of this? How does this change our lives? Each human being needs to ask himself questions like these and try to find answers. It is not enough to accept other people’s conclusions without working out the answers ourselves, otherwise we would only be trying to live our lives as other people think fit, and not really live from our hearts. There must be some reason why many people are so unhappy in life, and this is because they do not follow their hearts. When we reflect on what our lives are about, then our eyes begin to open, and we begin to follow our hearts. The path to spiritual heights is often long and lonely, because everybody does not arrive at the above truth at the same time. Everybody does not wish or even find it necessary to live with their hearts. But when one keeps one’s eyes fixed on love, God and the goal, one is filled with such joy and happiness, in spite of the many difficulties one confronts that one accepts to make the necessary sacrifices. The climb to those heights necessitates faith and perseverance. This spiritual ascent is not incompatible with everyday life. Indeed, it is the same life. There is not “spiritual life” on one hand, and “every day life” on the other. We daily live through situations which lead us to practise the spiritual truths we believe in. And life after life, we come back and learn a little more, gain more and more wisdom until one day, after consciously following the spiritual path, we realize that we have blossomed out into a highly spiritual being. And then at last, we live our lives much more abundantly. The challenge which faces humanity today, is that everybody must reach a higher level of consciousness very rapidly, because the present cycle of energies pushes man to do so. The period of time which allows man to adapt is now drawing to a close, and it is necessary to help humanity to go back to the qualities of the heart so that all will be in harmony the new era coming in, a more spiritual era of brotherhood and sharing. Otherwise, people, by their thoughts and actions, will offer too great a resistance to the new energies and will undergo great hardships. That is the reason why very advanced Beings are now assisting humanity. The heart is our inner temple. Just as the brain is the seat of intellectual life, in the same way the heart is the seat of our spiritual guidance, and we must therefore learn to hear the whispers of the soul with the ears of the heart, and see with the eyes of the heart in order to rise ever higher and reach our spiritual goal, which is the perfection of man and union with God. As we have said, humanity is one body on the inner planes, sharing the same soul, and it is also a collective disciple going up the spiritual path little by little. One only needs to observe the great changes it has gone though since the days of cavemen, to realize this fact. Man as one body follows the same rules as individual disciples and so goes through different growing stages. At present, humanity, after having gained some mastery over its physical, emotional and mental aspects, now needs to turn its attention to developing the spiritual capacities of the heart. This will allow the soul to express itself more fully and little by little spiritualize the consciousness of man. The heart is the inner temple to which we retire to find joy and inspiration in daily life, and solace in times of difficulty which never fail to come about. It is especially the sure guide which connects us to God and spiritual realities which are necessary to man’s spiritual development and general well-being. This is absolutely necessary at the present time because new energies are now coming down on the Earth, and so all human beings need to harmonize themselves with them in order to live comfortably, and even survive. These energies affect everyone – their influence being positive to those who have developed sufficient spiritual qualities, and negative to those who are still attached to a very materialistic way of being, which is totally incompatible with these energies. Indeed, they are of a higher nature than the ones before, for they are destined to usher in a new cycle for humanity, an era of higher spirituality. We know that everything is vibration, and so human beings also are vibration. Therefore, logically, if the vibrations of certain people are not in harmony with those of the new energies which are now pushing man up a higher rung of spirituality, then this conflict will create great difficulties in their lives. Although the heart is the inner temple, it alone is not enough to bring man to finally realize his true nature. This so because of the duality within man. There is constantly a conflict of interests between the inner man and the outer man, and it is usually the latter which dominates. It is necessary to heed words of wisdom, or teachings from realized Masters who have gone that way and have won their immortality. These truths need to be practised so that both the inner and outer man will go in the same direction, as they are henceforth led by the soul. The final word is that no one can attain enlightenment without the help of a realized Master, for where the disciple is blind, the Master sees the path to follow and leads him from darkness to light, thus helping him to overcome obstacles which often he knows nothing about. What is new, besides the energies spoken of above, is that the entire humanity needs to be taught, and led as one being up the path of spirituality in order to be ready in time for the new epoch. Individual teaching is no longer enough as time is running out in the effort to prepare man for the new cycle which is starting off. Great Beings, avatars are greatly helping at the present time by channelling the new energies and reducing their effect so that humanity can get used to them progressively. At the same time, they give spiritual guidance on the inner planes to help humanity acquire wisdom and make the right choices. We have seen how destructive the first two World Wars have been, and these avatars inspire humanity so that they may now choose the path of peace and understanding. Their help is of vital importance because humanity has greatly lost its spiritual values, and does not seem to be able to go in the right direction when left to itself. There is presently a lineage of realized Masters leading this spiritual transformation of humanity’s consciousness – the Sacha lineage. Working through the Universal Soul, they inspire the entire humanity so that more and more, the world will become receptive to true spirituality, not only in words, but also in deed. They had been helping humanity on the inner planes for many cycles, and have now come back physically as avatars to guide man as safely as possible into this new cycle. 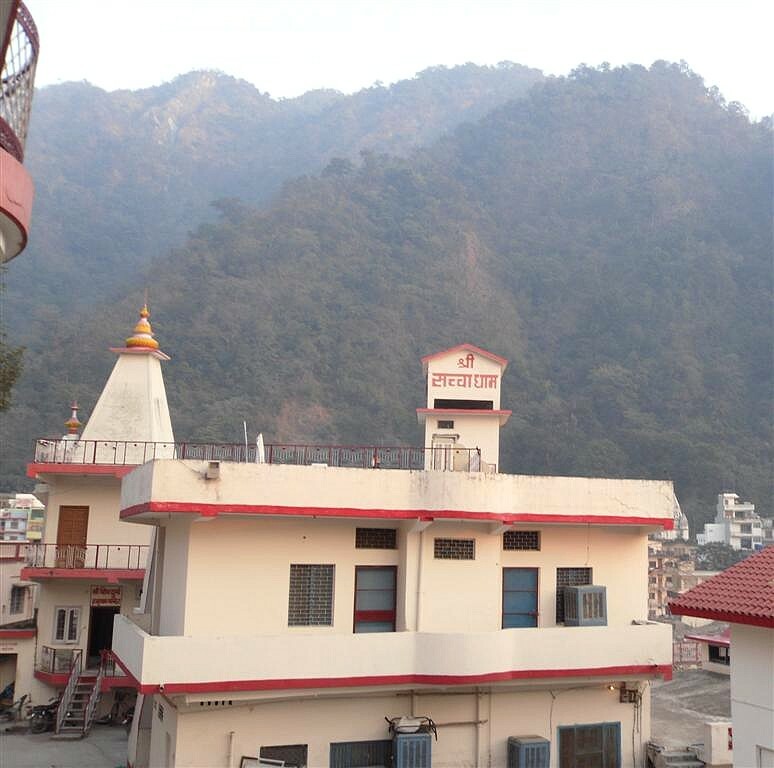 At present, Shri Hans Raj Maharajji Sacha Baba of Laxman Jhula, Rishikesh in India is the Torch-Bearer of this lineage. Goddess Gayatri. Illustration by Raja Ravi Verma. 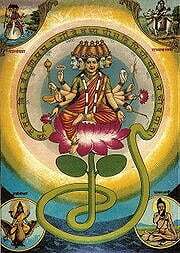 In illustrations, the goddess often sits on a lotus flower and appears with five heads and five pairs of hands, representing the incarnations of the goddess as Parvati, Saraswati etc. She is especially identified with Saraswatī. Having five heads with the ten eyes looking in the eight directions plus the earth and sky, and ten arms holding all the weapons of Vishnu,. Accompanied by a white swan, holding a book. See also the World Wide Gayatri Mantra Light Circle. “Join our World Wide Gayatri Mantra Light Circle by chanting the Gayatri Mantra for the enlightenment of all beings. You may also include areas that need spiritual awakening and humanitarian aid such as natural disasters, catastrophes and areas which have been affected by anti-environmental impact. Anyone can participate in chanting this marvellous mantra. You need not be a Hindu. (1) Shri ShantiMayi was born in the United States. She met Shri Hans Raj Maharajji in 1988, and immediately understood that she was at the feet of the one she had been looking for for so many years. 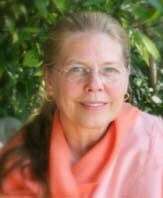 Her devotion to Maharajji and the steadfast pursuit of her sadhana enabled her to attain the goal – enlightenment – in only a few years, in the early 90s. In the following years, a large number of disciples from different countries of the world started to gather around her. Maharajji then gave her the task of turning the hearts of men and women around the world back to God. That is what she does in travelling to different countries every year and creating centres of light here and there, like, for example, her ashram Terre de Sacha in the French Pyrenees.